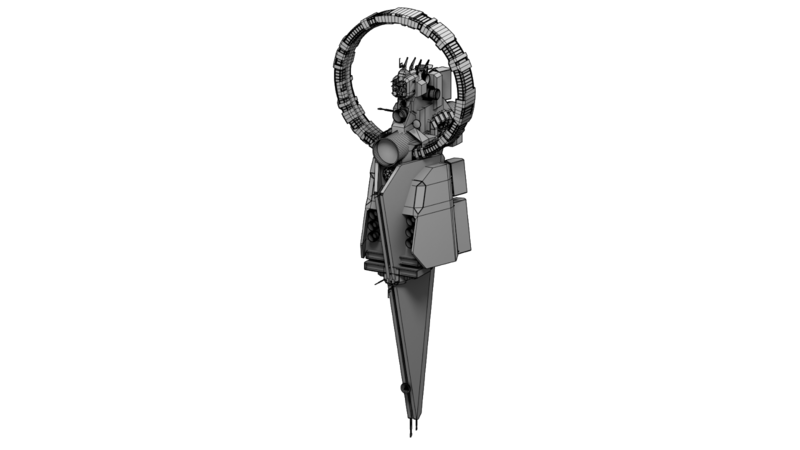 The largest and oldest of the Southern Bloc’s capital ships, the Ganapati Annex acted as both the nexus for the Bloc’s orbital naval construction efforts, and also its primary naval command center off-planet. 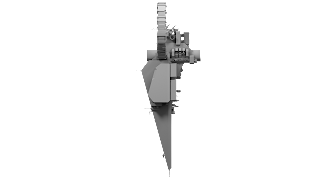 Defensive systems are modest for its size, although the Ganapati Annex does support several wings of unmanned drones and four Oxóssi Class Destroyers. 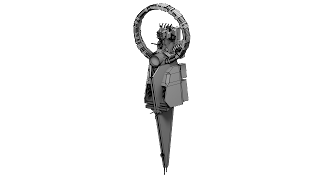 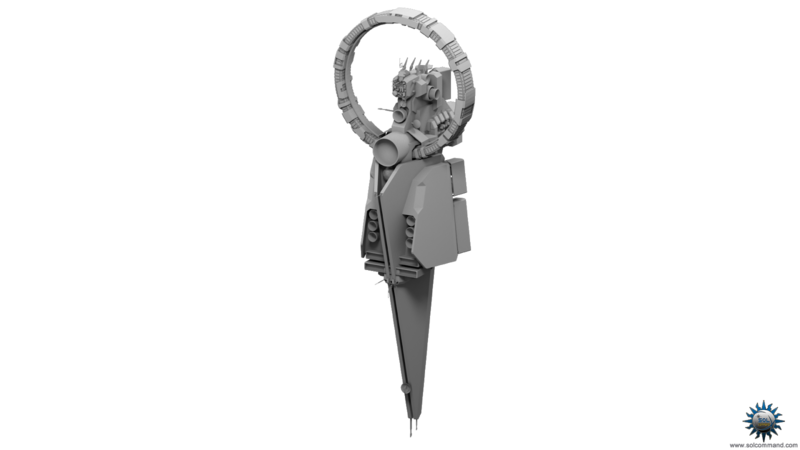 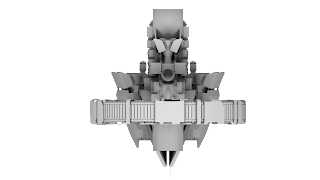 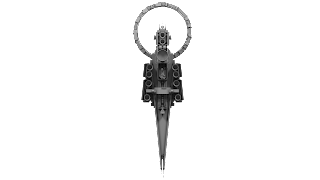 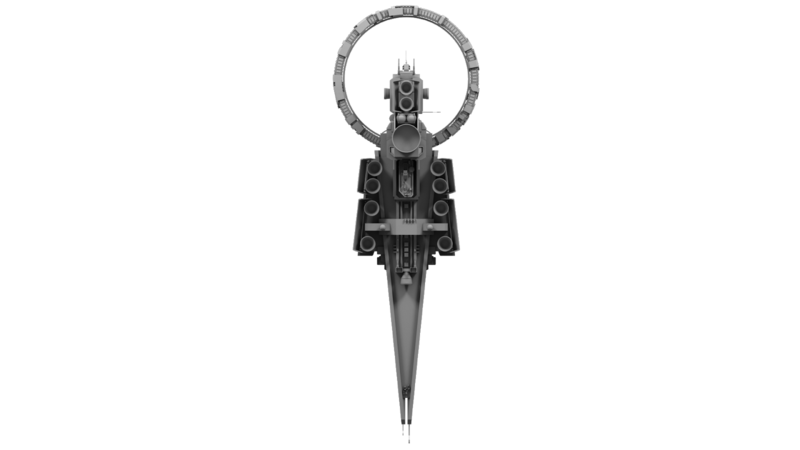 The Ganapati Annex is one of the Southern Bloc’s unique hybrid mobile station classes, bearing characteristics of both a station and a dreadnought; in size, it is approximately the size of a dreadnought, and in fact utilizes heavily modified sections from the Southern Bloc’s Eshu Class Dreadnought. It is far less mobile than even a super-dreadnought of any class in the solar system, but significantly more mobile than any orbital station, capable of moving its position as needed. This free 3D model has a triangle count of 88.917. 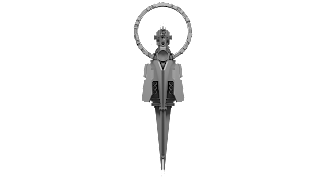 Download it from the available servers.